As most all medical service providers know, beginning after October 1, 2015, they will be required to submit their bills to Medicare, Medicaid and other third party payers using ICD-10 codes. ICD-9 codes will become obsolete and claims for reimbursement using the obsolete codes will not be honored. The glitch in the system is that entities that are not covered by HIPAA regulations are exempt from the requirement to convert to the new codes. This includes property and casualty insurance companies, nursing homes and those who, like disability insurers, submit paper claims. Workers' Compensation Insurers (WCIs) are among those exempt from the requirement and may or may not convert their claims processing procedures from ICD-9 to ICD-10. This may substantially impact the billing practices of medical service providers who treat patients due to their job-related injuries. Although exempt, many workers’ compensation payers are converting to ICD-10. • Anthem Workers’ Compensation (AWC). According to Anthem Workers’ Compensation (AWC), the only way for them to stay competitive is to implement the same ICD-10 billing system that providers will use to bill other payers. AWC notes that since other countries are also using the ICD-10 codes, and ICD-9 is running out of diagnosis and procedure codes, the only way for them and other workers’ compensation payers to keep up to date on new technologies and treatments is to transition to ICD-10 codes. AWC will continue to process claims that are submitted under ICD-9, but will not accept mixed billing on the same form. Any claim for reimbursement must be submitted either under ICD-9 or ICD-10, preferably ICD-10. • The Ohio Bureau of Workers Compensation (OBWC). 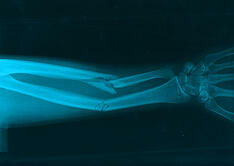 The OBWC pays millions of dollars to medical services providers every year due to work-related injuries. The bureau is concerned that if it forced providers to use a separate billing procedure for workers’ compensation claims, they would decide not to accept those patients for treatment. OBWC also recognizes other advantages to adopting the new codes for its claims processing. It is expected that other state WCIs will also adopt the new codes. The Centers for Medicare and Medicaid Services (CMS) is working with workers’ compensation carriers to implement a change to ICD-10 claims processing. The CMS is strongly encouraging WCIs to convert their claims processing to the new codes even though they are not required to by law. Encouragement includes reminding them that ICD-9 data will no longer be accurate. All health data, including the quality and efficiency of services, results of health studies and monitoring utilization will be provided in terms of ICD-10. Provider claims to non-converting WCIs may require a second billing system. Although HIPPA and CMS are encouraging WCIs to convert to ICD-10, and many are planning to do so, there is no guarantee they will all do it. Some providers who currently have only a limited workers’ compensation practice may decide to stop seeing these patients all together. For providers who have a large practice of workers’ compensation patients, the problem gets complex. Some WCIs will be using ICD-10 and some will still be using ICD-9. Maintaining two billing systems will be expensive. The only answer may be to outsource billing services to a company such as Healthcare Information Services that can properly bill insurers no matter which codes they are using for claims processing.